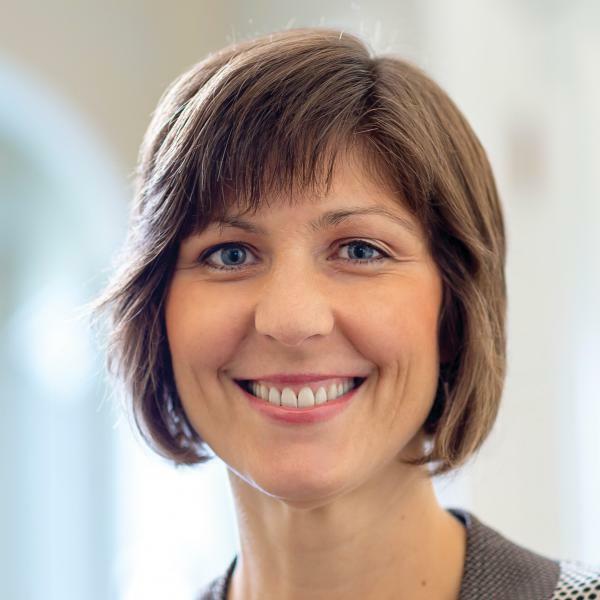 Heather Torok is a vice president for programs and strategy at the Saint Luke's Foundation in Cleveland. Torok spoke with Interact for Health about how the foundation works to address health inequity. Interact for Health: Could you explain more about the Saint Luke's Foundation and its goals? Heather Torok: Saint Luke's Foundation is a hospital-conversion foundation that has been around for 21 years. We recently completed a new strategic plan that focuses on health equity. We're currently looking at ways to achieve health equity and close the health equity gap by addressing the social determinants of health for people in the neighborhood around Saint Luke's in Cleveland and throughout Cuyahoga County. For example, we're looking within the neighborhood to determine whether it's the built environment or commercial corridor that impacts people's health. Interact for Health: Could you tell me a brief story that illustrates the effect of your organization's work in the community? Torok: A few years ago, a local grocery store closed and we provided two levels of support. One was a loan for a new grocery store to come in. But probably the more interesting piece is that we built grants around community engagement so the community had a voice. We knew that it wasn't enough to have a grocery store but for folks in the area to really have a voice and feel like co-owners. I think that is a good example of our interest in empowerment and equity. Interact for Health: What lessons have you learned from your work as a program and policy officer at Saint Luke's Foundation? Torok: We're currently doing kind of an internal focus. We know we cannot really call out issues in the community if we don't look at ourselves so we sent all of our staff and invited all of our board to a two-and-half-day training that the Racial Equity Institute hosted. We're also looking at ways to have these conversations externally and exchange information with other parties. Interact for Health: What accomplishments of Saint Luke's Foundation are you most proud of? Torok: I think that it is quite an accomplishment that we have called out racism and structural racism and are talking about health equity at the level of our vision and mission. We talk about how people thrive living free of racism and poverty and experience equitable economic opportunities and conditions. We've also made a great investment in the neighborhoods around Saint Luke's with a number of programs that have been sustained and adopted after our funding has ended. Interact for Health: What about your work excites you or is most fulfilling? Torok: I just think there are a phenomenal number of really smart people doing amazing work and I am just heartened by humanity. The policy space excites me. It's the people who are doing that work that really drives me and the notion that we could make some lasting change.